If you don't recall Focus, I suspect you're too young to know better or too old with suspicious memory loss. I remember wearing out my cassette copy of Focus II (aka Moving Waves) with the international hit single Hocus Pocus, their biggest claim to fame. Focus: on the massive sideburns. 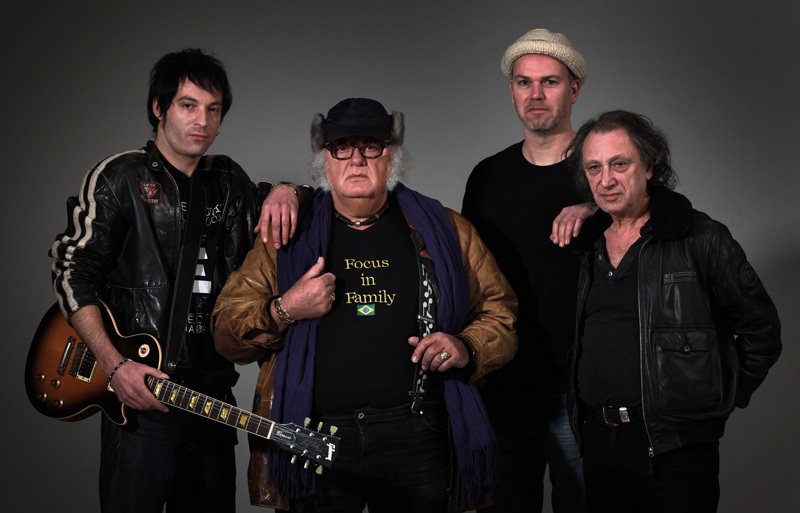 In 2012, the legendary Dutch progressive rock band is alive and well, offering their new album X. It's unclear if this is actually their tenth album: head over to Wikipedia and count 11 albums in the discography section. Album art work is provided by another legend Roger Dean (Yes, Asia, et al). But it's hardly his best work, being quite angular and unfocused. Nevertheless, though founder Thijs van Leer and Focus II drummer Pierre van der Linden are both a little shorter and wider, overall, Focus is in fine form. X, fundamentally, is recognizable Focus. The opening track, Father Bachus, which has a certain familiarity to that aforementioned hit single, will tell you that at the first. It's got spirit and speed, and shows the deliberate interplay between guitar and van Leer's Hammond organ and guitar that made Focus famous. You get some more of this with All Hens on Deck and Hoeratio, which might be two of the heaviest songs here (on an otherwise easy listening prog album). Yet, there's material here that merges prog rock with a jazz fusion flair like Focus 10. Le Tango touches on this but bursts into lively rock in the latter half; it reminds me of something Sting might do. 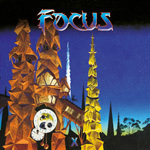 Focus has been mostly an instrumental band, but there are a few tracks here with vocals (but no yodeling from van Leer). Generally, its van Leer offering spoken oration, notably on Hoeratio and X Roads. Does it add anything to the song? Not necessarily. Actually, for X Roads it's rather annoying, considering the arrangement brings that live live jazz rock fusion scenario. As said earlier, X finds Focus in excellent form, creative and entertaining. Here's rare slice of Seventies prog made relevant and accessible for this century. Recommended. X finds Focus in excellent form, creative and entertaining. Here's rare slice of Seventies prog made relevant and accessible for this century.